As the year comes to a close and we look back on the tens of thousands of CPAP products we sold throughout 2014, it's kinda fun to reflect on the top-sellers and the products we hear people raving about. Here we'll share the most popular items in a few different categories. If you've shopped with us for a long time then you know we have discriminating taste when it comes to CPAP equipment and accessories. We don't just sell anything and everything. We sell what we think is the best equipment that we can offer at a compelling price. We like to think we do some of the work for you even before you begin your search for CPAP equipment by weeding out the not-so-good stuff. Even so, we have thousands of products from which to choose and selecting the right equipment can be confusing even for the experienced CPAP user. I talk about this equipment all the time and even I pause sometimes to remember the key benefits of certain products, or the differences between products. Our list of top-sellers in 2014 might help you decide which items to buy. The products on this list are here because people like them and people buy them - generally repeatedly. Now, let's get to it. CPAP machines have been described as glorified hair dryers. Quite simply, they're machines that blow air. But they're a lot quieter than hair dryers. In all seriousness, many CPAP machines have advanced features that help improve patient compliance, and the average CPAP machine is designed to function for years of continual use. With a current price range of $189 to well over $2,400 depending on the model, there's a CPAP machine for everyone. Here are the top 3 in 2014. The APEX XT Fit is our #1-selling machine by far. It's so popular we buy them by the pallet. It's #1 primarily because of the price, but the fact that it's been #1 for years tells us that the performance is top-notch as well. (This machine used to be sold as the Zzz-PAP.) The only drawback to this machine is that at higher pressures - like 13 or higher - the machine might slightly noisier than some other CPAP models. Even so, the APEX XT Fit is whisper quiet and a great all-around device. Don't let the size fool you. This isn't just a travel CPAP. It's designed to be used all the time. The REMstar (model #150P) was replaced by the REMstar SE (model #220P) in 2014. These machines take the #2 spot, but just barely. We'd likely sell more REMstar SE units, but at the time of this writing the REMstar SE is still subjected to a "minimum advertised price" - or MAP - policy instituted by the manufacturer. That means we can't advertise our actual sale price of the REMstar SE. Once the new Philips Respironics units are available and the MAP restriction is removed from the REMstar SE, we're expecting that machine may take the #1 spot. It offers a few more features than the APEX XT Fit, including exhalation pressure relief, compliance reporting capability, and support for an integrated heated tube. It's a fantastic deal especially if you take the time to give us a call for our price, or request our price via email. The Z1 has been a surprising machine this year. Of course, we fell in love with the design when we first saw it. Who wouldn't? But we were a bit skeptical about the price tag. At $575 it's one of our more expensive fixed-pressure units, but still a bargain compared to machine prices at the local brick-and-mortar stores. Even with the high-ish price tag, the Z1 has been an extremely popular machine. It's the smallest CPAP machine available. It has an updatable operating system. It has a 3-year warrnaty. It's quiet at just 26 decibels. It has an integrated battery option. You really can't ask for much more, and the market has proven it. The Z1 is a top-seller and people love it. Nasal masks deliver air through the nose only. They can cover the nose completely, or can have cannulas or prongs that insert into the nostrils. If you breathe with your mouth closed then a nasal mask is a good choice. Even if you're a mouth-breather, you may be able to use a nasal mask in conjunction with a chin strap. The bottom line is that your mouth needs to be closed most or all of the time when you're using a nasal mask. Otherwise, the air going in your nose with rush out your mouth. At the time of this writing we sell something like 80 different mask models, and the nasal masks start at $39. We can help you find the right model and the right size. The ComfortGel has been our #1-selling mask for nearly a decade. It's a field-tested workhorse that has proven to be effective for hundreds of thousands of CPAP users. It's still #1 for us, even though the discontinued ComfortClassic is making a run for the top spot as it enters into its end-of-life phase. The ComfortGel has had an interesting history. It used to break at the headgear socket due to a design flaw. Even with the breakage issue the mask continued to be our #1-seller because it worked really well when it wasn't broken. After the defect in the design was fixed several years ago, people continued to use the mask and, as would be expected, liked it even more. We often recommend this mask to new CPAP users as a "no-brainer" first-time mask that is likely to work. Ahh, the good ol' ComfortClassic. This one's been around for a loooong time and has remained popular throughout the years. It's simple. No moving forehead support. No detachable cushion. Easy to use and easy to clean. I don't know if the marketing people at Respironics knew this would eventually be a "classic" mask, but it sure seems like they could see into the future when naming the mask. We generally no longer recommend this mask to new users since it'll likely be out of stock when a new user gets around to re-ordering a replacement mask. This might create a vexing situation for the uninitiated CPAP user. But if someone's simply looking for a high-quality low-cost mask and doesn't care if it may be the first and last time they'll ever be able to use this particular model, then we'll recommend it without hesitation. What can we say? It works. Full face masks cover and deliver air through both the nose and mouth. They're made especially for those of us who are mouth breathers. Generally a mouth breather can't use a nasal mask because when using a nasal mask the air will enter the nose, take the path of least resistance, and flow right out of the mouth. This is bad for two reasons: 1) if the air flows out the mouth, it's not going down the airway to keep the airway open; and 2) it's extremely uncomfortable and usually results in a sleeping person ripping their mask off their head at night, sometimes completely unconsciously. People tend to avoid compromise when it comes to their full face masks. The ResMed Mirage Quattro is highly regarded, and it's been one of our top-selling masks since it's introduction several years ago. With a 24 position forehead adjuster, easy-to-use headgear with quick-release, and a super soft dual wall cushion, the Mirage Quattro performs like a champ. The big brother to the ComfortGel nasal mask, the full face version has a lot going for it, including a relatively low price ($89 as of this writing), a comfortable gel cushion, and a track record of producing great results. If in doubt about which full face mask to purchase, the ComfortGel is a good choice because of it's middle-of-the-road price and stellar performance. You can hardly go wrong here. They Hybrid is a cool full face mask that combines the design of a nasal pillows mask with a traditional full face mask. The Hybrid includes all sizes of nasal and mouth cushions, so it's an excellent mask for a first-time CPAP user or for someone thinking about trying the mask for the first time. Since it comes with all the sizes, you don't have to pick a size and you'll know you'll get an option that fits well. The main advantage of the Hybrid is that it takes the bridge of the nose out of the equation entirely. Many CPAP users struggle with getting a good seal around the bridge of the nose, and air can easily leak into the eyes when this is the case. In addition, the nose bridge is a sensitive area and many traditional masks can cause pain and irritation at the bridge of the nose. We have nose pads that can help with problems like that, but with the Hybrid those problems disappear in an instant. 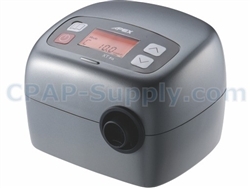 CPAP accessories include any ancillary products that many CPAP users find helpful as part of their therapy. We have a veritable boat load of CPAP accessories, from filters to CPAP sanitizers. Anyone up for a little ozone cleaning? Customers have been purchasing these by the boxful for years now. It's a great little device. 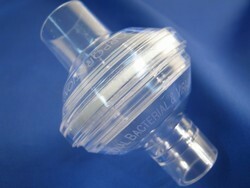 Keeps the air you're breathing cleaner, and it reduces noise in the tube. It's particularly useful for CPAP users with allergies. If you're looking for an extra layer of defense against ickiness, this filter is for you! The filter is compatible with all CPAP machines. I don't know if the folks over at HDM (makers of the Z1) knew what they were doing when they created this HME for their CPAP machine. I imagine they didn't really know it would catch on as much as it has. Since it's compatible with all CPAP machines and masks, they ended up creating a really useful, universal portable humidification system for absolutely every CPAP user in the world. Pretty cool. The HME weighs less than an ounce, and it's designed to capture the heat and moisture you're exhaling to keep the humidity relatively high in your mask. This means you can get higher levels of humidity without using a traditional water tank humidifier. It's absolutely great for traveling, especially if you're thinking about leaving your big humidifier at home. They're snuggly and soft and they remind me of something that should be advertised on a late-night TV infomercial. You know, with a catchy song sung by cute little kids. Anyway, these things are awesome. They help reduce rainout in your tube. They help reduce noise transmission. They help eliminate the grating sound of the corrugated tubing across your head board or night stand. They make your tube look cool. They're available in 16 different colors. You can order a color that matches your favorite team. Or a color that makes your dog less inclined to chew your tube. Whatever works. So there you have it. The most popular CPAP products of 2014. "Popular" generally means the products purchased the most with a relatively high review rating. We have thousands of product reviews on our website, written by real customers with real experience with the products. We encourage you to take the time to read what others are saying about products, and we also ask that you take the time to write your own product reviews. Your comments are extremely helpful to other CPAP users, and make selecting products easier. Questions? Comments? Let us know. We'd love to hear from you! Merry Christmas and Happy New Year!